Aging Ain't What it Used to Be... Let's Change Aging Perceptions Together! Aging Ain’t What it Used to Be… Let’s Change Aging Perceptions Together! I once had a speech student who argued that drivers over 60 were putting everyone else on the road at risk. 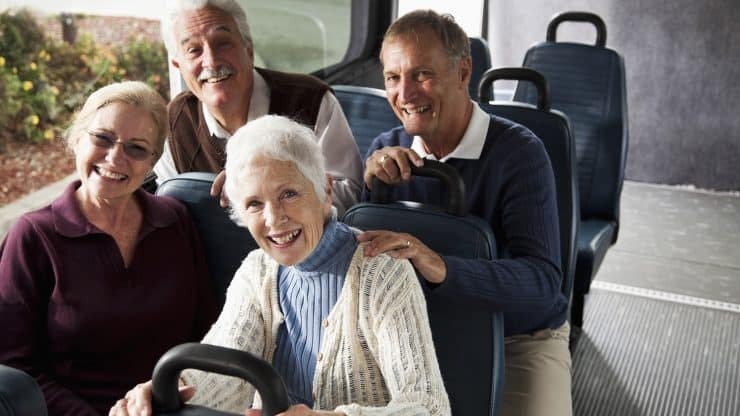 He then proposed that any ‘old’ person over 60 should be forced to reapply for their driver’s license and have additional restrictions on where ‘old’ people could drive if they earned a new license. Thankfully, others in the class countered this young man’s argument by pointing out that younger people who are distracted while driving pose a much bigger danger to others. In one of her posts last month, Margaret Manning referenced Joseph Coughlin’s 2017 book, The Longevity Economy. I was interested in learning more, so I read the book. Coughlin, the director of the MIT Age Lab, argues that there is a prevailing belief about aging that represents ‘an unfolding crisis’ or a ‘problem.’ Coughlin suggests that these perceptions are rooted in our cultural histories. Contrary to what some younger people may believe, Coughlin also points out that people in our age group are better educated, healthier and more interested in living active, fulfilling lives than any generation before us. Fortunately, we all have the opportunity to show younger generations how fully vibrant many of us are. As positive role models, we can help change perceptions, influence others in positive ways and give younger generations hope as they continue traveling that ancient road of life that connects us all. Last week, while working out at the gym on an elliptical machine, a young woman who was working out next to me turned my direction and said, “You are the reason I’m here.” I looked at this young woman who was moving twice as fast as I was and then wondered if she was patronizing me. I responded, “Really?” I probably said it with a bit of amusement combined with a tone of disbelief. Of course, I realized I wasn’t modeling speed or form for this young woman. However, I did demonstrate that people my age could live active lives. By doing so, I was able to encourage someone else to get moving and to model what life could be like for her in the future. When we put our exercise shoes on and boldly put our best foot forward, others notice. We may not be as firm or fast as we once were, but we are living examples of how good life can be as elders. Last month, while celebrating the holidays with family, my husband showed my son the new Apple 2 watch he had just gotten. Even though he’d seen a demonstration earlier, my husband had taken it upon himself to continue learning how to maximize his new tool. During this same family visit, someone asked me what I planned to do when I retire at the end of the year. I shared that I was starting a web-based business that focused on the needs of NW Baby Boomers in the U.S. I then shared some of the needed tools I’d taught myself to use, such as screen casting, pod casting and basic video production. Both my husband and I were pleased that our family reacted with a bit of surprise and pride that we had defied a common stereotype about people our age. We had modeled what 60-something can look like and gave another generation hope for a positive future. When we share what we are learning with younger people, we are defying stereotypes about people our age. We are also modeling the value of lifelong learning. One year ago, I did something that helped students and family members broaden their image of who I was as a 60-something grandmother. I dressed up like Susan B. Anthony and participated with about 100,000 others in the Women’s March held in Portland, Oregon. We can use language we want others to use when referring to our generation. However, it is not enough to tell people who we are. We must show them. All of us have the power to change perceptions. What are some of the ways you are living one of your best lives in your 60s? What do you want other people to understand about you at this point in your life? What ideas do you have that might help younger generations see people our age as vibrant individuals? Please share your wisdom in the comments below.